Digging through that lovely time machine that’s the internet, I see we’re coming up on eight years ago that I started the Roadtrip Blog in an attempt to excuse my poor correspondence habits. Rather than actually responding to well-meaning “How’s it going?” email, I could just refer the curious to http://roadtrip.somerandom.com to inform them of my whereabouts and howabouts (ed: is that even a word?) (it is now, and if you push me, I’m going to up the ante with ‘whyabouts’) (ed: okay, okay – I was just asking). Some 600 posts and 200,000 pageviews later, the Roadtrip Blog has sort of taken on a life of its own. I have days when I think “Hey, I haven’t posted anything lately – I’d better do something notable and ill-advised so that I’ll have something to write about!” You know those posts, don’t you? But this isn’t one of those posts. It’s more about getting back to basics, getting back to the reason the blog was created. Back then, in 2006, it was the cusp of our first major roadtrip with the kids, taking them to Paris and Turkey. 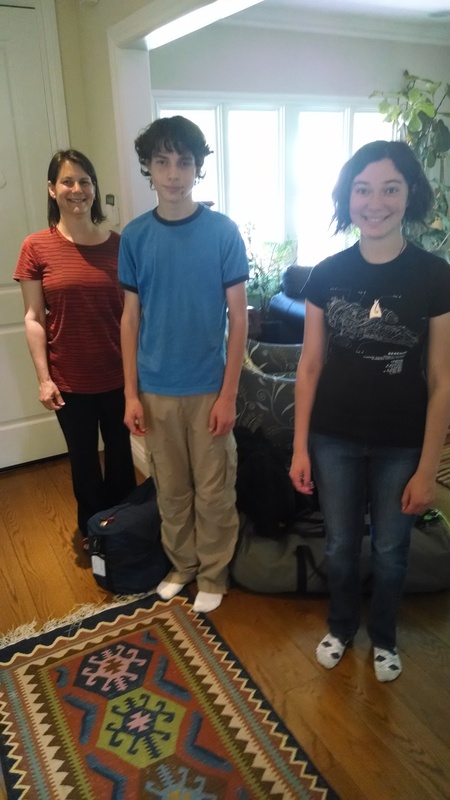 In another hour, we’re off to the airport with a pair of teenagers, off to explore Barcelona, northern Tanzania, and a little bit of Amsterdam on the way back.